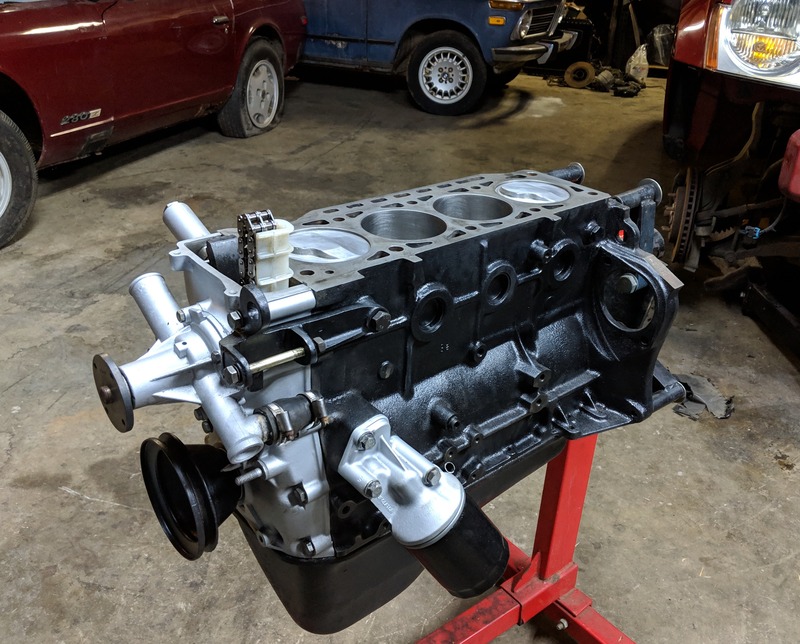 I bought the engine about a year ago for an 02 project but have decided to go a different direction. Everything as stated is new and is in good condition. I prefer to sell it locally if at all possible but might could ship if absolutely necessary. Did you do the rebuild or buy it that way? I’ll be in Charlotte tomorrow. I bought the complete engine from a resto shop in Atlanta. 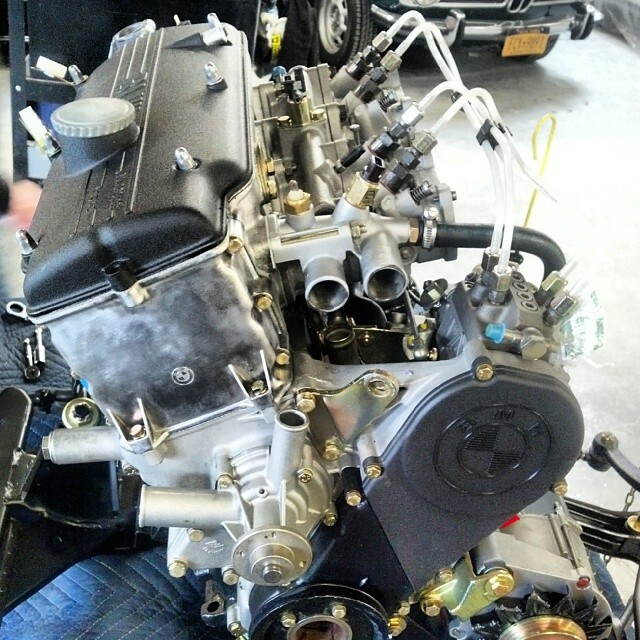 The first thing I did when i got it though was have a local engine builder go through and check everything out. He dismantled the engine and mic'd the crank and it was good and the bearings are new. He also checked the bores and ring end gaps and again, everything measured out nicely. 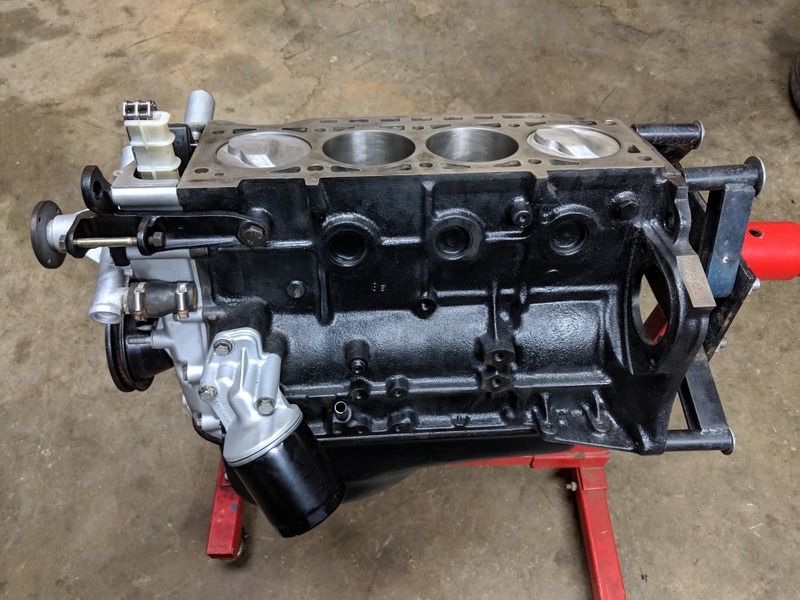 Do those pistons require an E12 head ? Yes, E12 for the Piano Top Pistons. The piston domes are 6.8mm high - these are not the 4.5mm US piano top versions. Not sure if that makes a difference or not. Just want to make sure everyone is aware. I'm having trouble believing it to be a Tii engine. 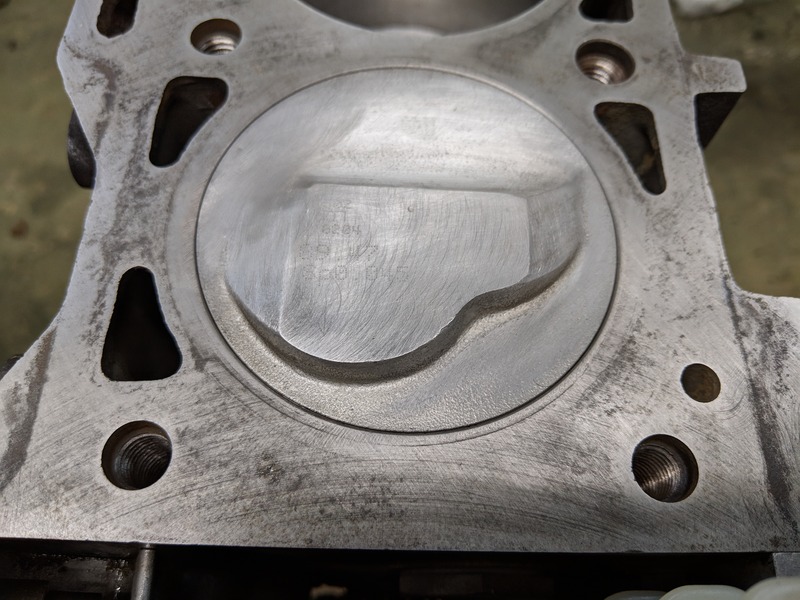 Timing chain cover is an std carb engine cover. I don't see any oil return opening for a KF pump oil return. 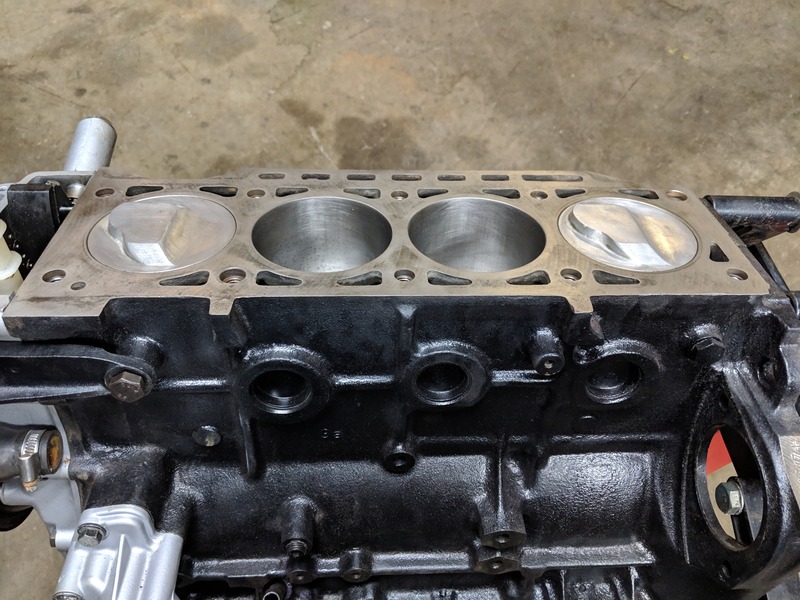 With 2 new pistons, do they weigh the same as the other 2? The crank pulley looks like one for a E21 chasis. These questions need before it is worthy of a Tii engine listing. I think he also means block bored plus 2 versus only 2 new pistons. That's a standard '02 water pump also. 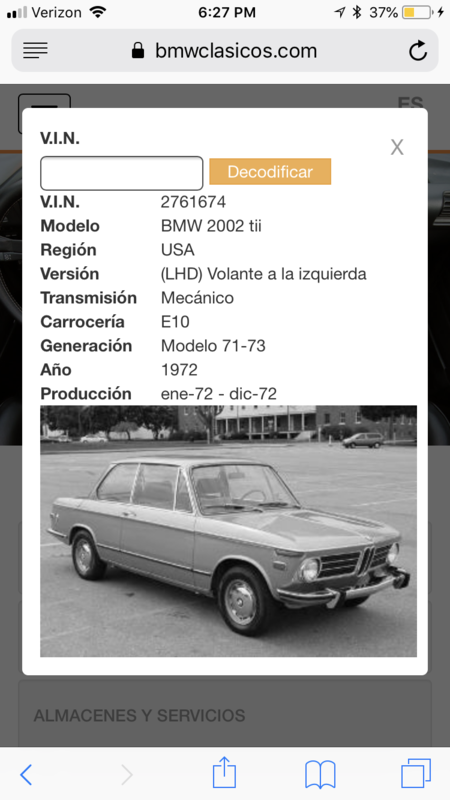 I believe it's a tii block -- that someone wished to use in a standard 2002. 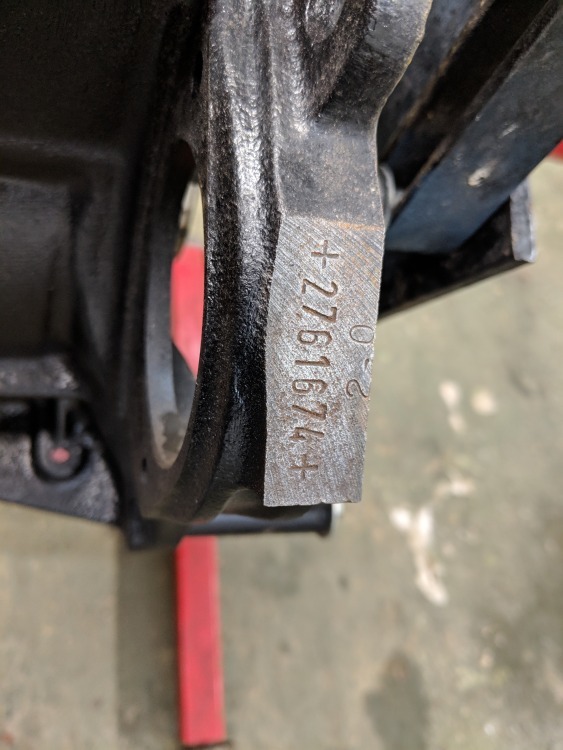 That should mean 9.5:1 compression in a stock head. I believe that is standard Euro tii configuration.